The Glade Tabletop features an extra wide base which adds stability without the need for swing out feet. 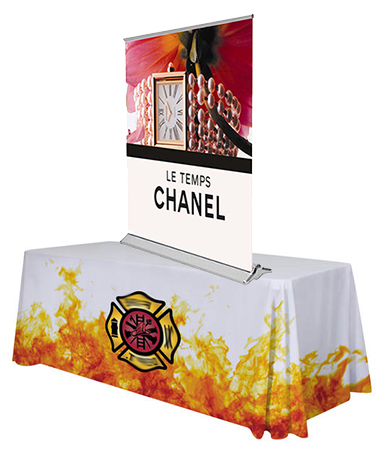 If you're looking for a value priced banner stand for table top, the Glade is just the ticket. It features a contemporary design with updated trim. The wider base means there are no swing out feet needed. It is perfect for placement on a table top. Choose the width you would like, and adjust the height to 60" plus 6" bleed at the bottom.